Step 1: Create an account by clicking "Registration" above. It's free and will allow you to purchase at our QDExpress discounted rates. 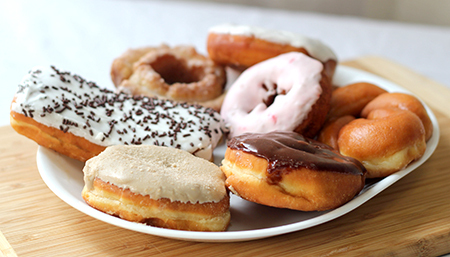 Step 2: Browse the catalog and make your selections of delicious Quality Dairy donuts, rolls, muffins, and more. Your minimum bulk order is just $15. Step 3: At Checkout - Select the Quality Dairy location you want to pick up your order and the date you want the order to be ready. Orders for next day pick up MUST BE placed BEFORE 12:00 NOON (Eastern Time). Step 4: Pay for your order with our QDExpress secure credit card payment gateway (Paypal). Step 5: Stop by the store on your chosen date, pick up your order and you're on your way. 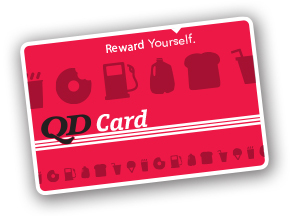 your order to get your QD Reward points!